A Venice where no flood disturbs the sightseeing, no empty canals give a wrong view, no rain hinders you from walking around. Gondoliers ship you on smooth water, which is always blue, no corrosion on the buildings. 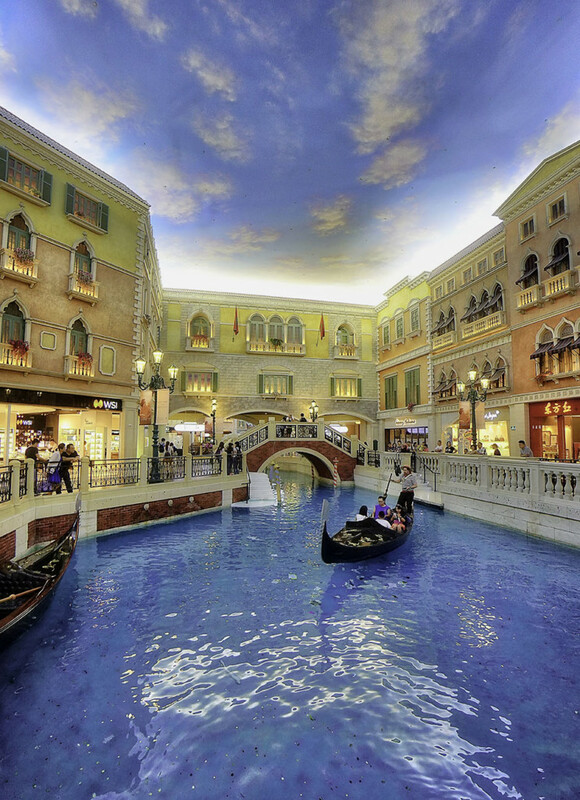 This little Venice exists inside a prominent hotel in Macau. They have done great work to replicate the bridges, houses, and canals.